I joined Jill Ball’s “Accentuate the Positive ” blogging challenge in a unique way of taking a walk back through my posts of 2017! Jill, the author of the GeniAus blog, has invited bloggers to take part in her annual year-end challenge that she’s offered for six years. I’m super excited to be taking part in it this year, and I look forward to flipping back through my posts and remembering my challenges, trials, and tribulations! This will be my first time writing in this challenge and I’m champing at the bit, to begin writing on her prompts offered for our “year of review“! I’m not sure I’ll be able to accomplish all twenty prompts, and I might even change up a few to better allow me to write on my 2017 findings; if you’d like to see all of her prompts, you may read her post Accentuate the Positive Geneameme 2017. An elusive ancestor I found was… finally pinpointing the “real” Sarah Elizabeth (Turner) Bryan… my great-grandmother. I finally began a new research on her when a cousin contacted me through my blog questioning her exact date of birth of either 1878 or 1881. I soon was pulling out my research and rechecking my facts. In viewing the 1880 census again with new eyes, I looked closer at “Sarah”, the daughter of William and Lauria Turner. While the age didn’t exactly match what was on my Sarah’s gravestone, I took her as my Sarah Turner Bryan…. ecstatic that I had found my Sarah! But now, I know that census records are only as good as the “giver”. What the problem was, this Sarah No. 1 in 1880 wasn’t the same Sarah I found much later in 1900. The first Sarah died before Sarah No. 2 was born in 1881. When families rename the next daughter with the last deceased daughter’s name… it becomes very tricky to decipher. If that cousin hadn’t questioned my research of long ago, I wouldn’t have gone back to the censuses to look again with new eyes. What I hadn’t paid attention to in my early years of genealogy was the “red flag” in the 1880 census; I didn’t pay close enough attention to the facts. As Amy Johnson Crow said in one of her posts, “don’t look at facts in isolation”… and that is certainly true. In order to fully see and compare, you must list the facts from all records in order to weigh the evidence. A great newspaper article I found was… I discovered a newspaper clipping of when my father joined the Navy. It was exciting to finally see his name in print as I’d searched and searched for a long time a clipping of him joining the Navy… hoping to find a photograph of him in the local paper when he left for the Navy. I eventually found this listing in the September 5th, 1945 Macon Telegraph newspaper (Macon, GA.) The local newspaper that covers the area where he lived hasn’t been digitized yet today… come on guys, let’s get in the twentieth century… you’re hoarding so much information from me! A geneajourney I took… down the rabbit hole led me to write Family Stories: True or False. It’s the family stories that often draws you in the journey… sometimes you can only study so many pedigrees and census before you want to jump down the hole. The family stories passed down through generations build the character of the family, but sometimes those stories are like the end of the “telephone game.” Remember playing that in school… one person whispers a few lines in someone’s ear and it’s whispered around in a circle to return back to the originator. It’s completely transformed from what you originally said! Like the tale in our family of the 3 brothers who came over from Ireland… one went North, one went South, and one went West, and as I’m from the South… I descended from the one who went South. Well, that was easy! An important record I found was… a newspaper clipping that told of my great-grandfather John Turner being a hat maker in Lumpkin County, Georgia. I laughed at the comment “the only objection to his hats are that they never wear out.” I also found a second record of an 1864 Lumpkin County, GA. Militia Census which listed my John Turner as a hatter, born in S.C., and owned a rifle in good condition. This record proved important to me as I hadn’t been able to locate him or Hannah in Lumpkin County or nearby in 1860… it was like they disappeared. This record proved they were still in the same area as they were in 1870. A newly found family member discovered was… Well to me, she’s family! As my oldest granddaughter Ella began reading in 1st grade, I remembered my old friend Nancy Drew! In going to tag sales and flea markets over the summer, I began searching for “Nancy” books; I had passed up so many through the years. Of course, when you’re looking for something… it’s never to be found! Finally, I broke the ice and found a copy of The Mystery at Lilac Inn, and after that, I discovered library book sales and found that was where they had been hiding. After buying many vintage books that I remembered as a 9 year-old-girl, I was hooked again… and soon began re-building a collection for me, while buying the newer “flashlight” editions for Ella. I have five granddaughters… does that mean I will be making 5 sets for them! I love that they have now added Nancy Drew Clue’s Crews volumes about Nancy being an eight-year-old girl… how fun they will be to read! If you’re a “Nancy” reader, I’d love to hear from you! A geneasurprise I learned was… that Ila Stargel Sewell-Jones, my 2nd cousin 2x removed, turned 114 years on August 21st, 2017 and held the record for “The Oldest Living Person” in the state of Georgia, as well as the second oldest living person in the United States. I met cousin Ila in 2000 in person… but we had previously corresponded by snail mail since 1997. Ila and I share a Civil War grandfather, Berrian Clark Bryan (1823-1923), who served in the Blue Ridge Rangers. B. C. Bryan, as he was mostly known, was Ila’s great-grandfather and my 3rd great grandfather. Sadly, Ila passed away on Nov. 10, 2017. My 2017 blog post that I was particularly proud of was… my A to Z “All About Me”. yearly challenge. In the past I’ve seen many write about themselves in the April A to Z, but writing daily on that type of topic… well I would never have been able to write it the way I wanted… written in detail. I began it in January and gave myself 12 months to complete the alphabet… and I finished in early December. Sorry, but sneaking in another favorite here, how could I not include The Great American 2017 Eclipse! I’ll just leave this a teaser, so click the link to read! I made a new genimate who… worked alongside me on my Turner research offering their information on the many Turner lines, which helped in determining my line. We both split off into two different Turner lines from our shared ancestors of John and Hannah Turner. Two heads or more is always better than one! A new piece of technology I mastered was… better learning my Flip-Pal Scanner. I finally learned how to remove the top cover, LOL. Why I never did it earlier, well who knows! So now I have begun to scan larger photos and stitch them together with their software, which works really easy. I plan on using the voice with a photo on my next trip home to visit my mother. I’ll love to record her funny story on Clyde the Alligator! I joined…. the April A to Z of 2017 and blogged daily on my journal, “Conversations with Mom.” As my mother often tells me stories when we talk on the phone, I wanted a way to document them, so I began keeping a journal in my Publisher program. It’s been almost a decade now of writing down some of the tidbits we talk about, or rather she talks about. By this time, I’ve pretty much heard the stories, and I often find them now, somewhat changing, but I never tire of them! My Southern Mama has always been a storyteller… and she tells me I’m the writer. She’ll say that she’d rather cut off her arm than write! Her antics on the phone is often amusing, especially when she comes out with her Southern witty sayings. And once in awhile, she gives me food for a new blog post, like Just When I thought I knew it all… the night when she told me about the time she took a plane ride over her small hometown of Siloam, Georgia. I was shocked to hear that, as it was the first time I’d heard it. A genealogy event from which I learned something new was… I learn daily from the fantastic group of genealogy bloggers in my Facebook group. I’ve made many friends within this group and by reading their blogs as to how they researched their problem in taking down brick walls, or links offered for new sites of interest… I learn! A blog post that taught me something new was… my post on the Poppy Lady, Moina Belle Michael. While visiting my mom in Georgia last October, I searched for famous people buried in Monroe and discovered the name of Moina Belle Michael, aka The Poppy Lady; I became intrigued to learn about the Poppy Lady and found her name popping up everywhere around Monroe. The next morning I discovered a Poppy Festival; sadly I couldn’t stop as we were meeting with family that morning. On our return, I noticed a marker near Good Hope, and it was for The Poppy Lady. We did a turn around so I could photograph it… and in stopping, I discovered the side road was named the Moina Michael Road. On our trip to Athens the next day, via Highway 78, I discovered a section of the highway named for her also. Miss Moina seemed to be haunting me! I was almost out of time on my trip in Monroe, but before leaving, I went in search of her gravestone…. which I did not find, but I never forgot! Four months later, we returned to Georgia, and I persevered… finding her gravestone! My entire blog post highlighted with her name gives her life history and how she brought the red poppy into existence during wartime. A DNA discovery I made was… that my dark-haired son had more DNA Irish ancestry than his red-haired sister. I would have bet my house that her DNA would show more Irish, while he would show more Italian, but the “spit in the tube” proved me so wrong! His European South was a high percentage of 43%… not bad for having an Italian father and a mother with roots in Ireland, Great Britain, Scotland, Wales… and so many more. What can I say, I’m a pedigreed mutt! His Ireland/Scotland/Wales was only a 20%, beating out his sister by 7 points… with all her red hair and fair skin, she only came in at a 13% for those countries. I was shocked when the results finally arrived at Ancestry. Good thing they didn’t take me up on my bet! Their European West (Belgium, France, Germany) came back at 18% for Stephen and 25% for Melissa. At this time I haven’t pinpointed anyone from those parts of the world, so it gives me hope! I did my DNA a while back and had hoped for a percentage of Native American… especially after all the stories my mother swore to be true. Well, I had none, but my daughter has 1 %… well that must count for something! What I found really odd was my son’s 1% of European Jewish tracing back to Poland, Ukraine, Russia, Hungary, and Israel. Well, that line sounds interesting! I really need to begin concentrating on this DNA craze! My daughter-in-law is doing hers this year, she’s definitely going to show up my son on the Italian percentage… he’ll be checking out all the other percentages… and next will be their three girls to see who inherited what! While my mother has more European West DNA – 51% to my 48%, my Irish roots are higher than hers at 35% to her 25 %. The one region she has that I don’t… is European Jewish, now where did that come from – or should I say who did that come from… but my son also showed European Jewish, so it seems he inherited those genes through her. It’s all a mystery to me! If you’d like to follow along on my DNA escapades, click on blog posts… DNA. A brick wall I demolished was… finding the parents of my William Pinkney Turner. My original post on the search for William’s parents can be found Here – written January 4th of this year. Since writing that post, I continued to write follow-ups in order to show documentation of all the information. The more you look and study the facts – the more of a chance to find a piece of info you have overlooked! In writing these further posts on William Pinkney Turner, I dotted all my eyes and crossed my t’s as I looked at all the Turners in Lumpkin County and surrounding counties that could possibly be his parents. At this time I believe I have narrowed them down to his parents being John and Hannah Turner of Lumpkin County, Georgia. Still hoping to hear from new Turner researchers! A great site I visited was… a family cemetery we discovered on the back roads of Oconee Co., in Georgia… a small family cemetery caught my eye, just sitting at the edge of a field off Hwy 78 … and I was immediately drawn to it. Hubby did a quick turn-around! While this Young Family Cemetery now sits in Oconee County, located alongside the intersection of Old Barnett Shoals Road, it once was Clarke County until 1875. It’s about 5 miles east of Watkinsville, GA in Oconee County on the grounds of the now closed, Green Hills Country Club. On this trip, my mother was with us, but not sharing our passion of stopping to visit and photograph lost and forgotten cemeteries, she chose to remain in the car; we were eager to walk in. Sometimes these trips don’t end up in miles accumulated when sites of interest catch our eyes; it’s a good thing that hubby and I share the same passion. A yearly blog I contribute to… is the Honor Roll Project of Heather Wilkinson Rojo – the purpose is to photograph and transcribe Veteran names on war memorials for family research. Heather’s Blog can be found at Nutfield Genealogy. Last year I was contacted by a student at Southern Connecticut University asking for permission to use my photographs and transcribed names from my New Haven Green Flag Pole Memorial post honoring Connecticut men and women in World War I. later I was contacted by Jodie Mozdzer Gil, Assistant Professor of Journalism, at Southern Connecticut State University. Jodi is Lynandro’s professor and has involved her students at the Journalism Department at Southern Connecticut State University (Remembering WWI – 2016-2017) in the state Connecticut World War I project as part of their capstone course; a project of gathering names, information, and artifacts to preserve Connecticut’s involvement in World War I. The students are partnered with the Connecticut State Library in this Remembering World War I project, and it will be completed by the 100th-anniversary end of WWI – November 8, 2018. As I’ve never been asked or given an interview before, I was quite honored in being asked, but a little nervous at the aspect of being on the other side of the interviewing process. My interview and story appeared in The New Haven Independent online newspaper. It was exciting to finally… gather all the names on a 1964 Bryan Family Reunion Photo that I’ve been working on with cousins. Finally this year, after connecting with one of the last cousins who connected to this photo through his grandfather, he was able to offer the missing names. I remember when I came across this photo in my album one day, and I felt compelled to document all the names. We all know… a photograph without knowing who they are, can end up in those baskets of “instant ancestors” we see in antique stores! I always stop and browse through them, feeling sad that these beautiful photos have been discarded; I am compelled to label all my family photographs. My blog post was written in 2016, but it was early last year in 2017 that I was able to add the missing names and make it complete. 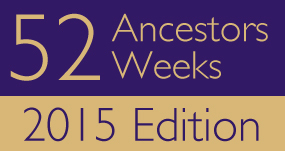 I am excited for 2018 because… I am finally blogging on my husband’s family this year in Amy Johnson Crow’s “52 Ancestors in 52 Weeks.” I joined this blog challenge when she first began it in 2014… and completed it! It was what brought me into the blogging world. 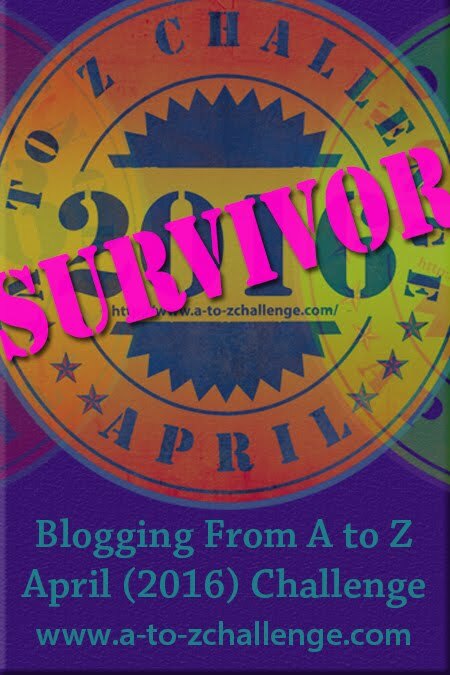 I also will be joining in the A to Z April challenge for the third consecutive year and I will be blogging about my favorite childhood character… Nancy Drew! I’m super excited to write about my friend Nancy and I’ve already begun working on my posts! 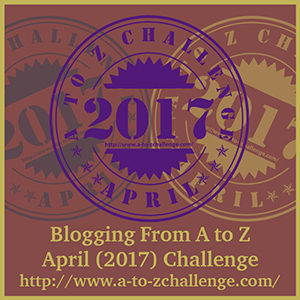 The Blogging from A to Z Challenge involves daily posting, so plan early and write early or you’ll be pulling your hair out by the end of the month! Another positive I would like to share is … writing and sharing my family history is a positive in my eyes. While some people might scoff and shrug their shoulders… and sometimes roll their eyes… it’s a positive what we do for our family of years ago. If we don’t continue our job of writing their history and preserving those facts… we stand a chance of too much time lapsing and records becoming further away. So stay positive and focus on your job as the family genealogist… just as I will! Never mind those eye rolls, but instead feel sorry for their ancestors! Thank You, Jill Ball for allowing me to participate in your “Accentuate the Positive” challenge this year, and I’ll be definitely keeping notes this year for my 2018 review! This entry was posted in Daily Writings and funnies..., Family Stories, Year in Review and tagged Accentuate the Positive Geneameme, Year of review. Bookmark the permalink. I enjoyed your reflection of the past year, and I may give it ago too! Thanks for sharing. I worked mine up in a couple days. Just had to go back through my 2017 posts and jot down do I could match up to her prompts. I changed two prompts to use posts I wanted. I did 19 out of 20! Not bad! I really like the idea, wish I’d known abt it last year! It sounds like it is a great way to summarize a year of research and writing. I love your enthusiasm and your energy. So MANY projects! I feel like a plodder by comparison, but that’s okay with me. Lately I’ve been in a writing mood! With all the snow I’m housebound! 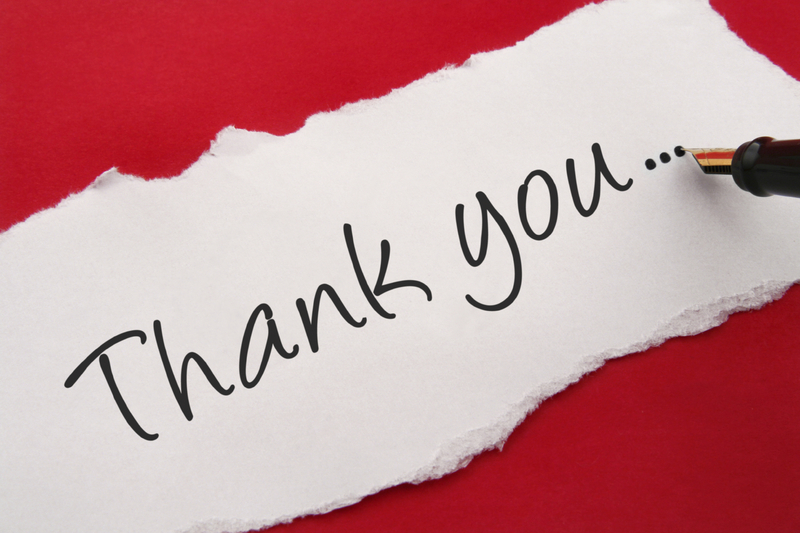 Jeanne, thank you so much for your bumper and interesting post which taught me a few things. I am posting a list of the Accentuate the Positive posts on the Geniaus blog later today. Thanks for stopping by and for adding me to your list!